Aamir Khan’s PK is charming, entertaining, and provocative. But while its questions are important, its seductive solutions are a little weightless. PK is an alien stranded in India searching for a stolen device that will help him get back home. After being told that only God can help him, he starts searching for Him only to find deceit, hypocrisy and ignorance in religious India. Here are five things I was moved to say about PK’s view of religion, God and faith in India. I deeply resonated with PK’s critique of false religiosity with Christian prosperity teachers in mind—not merely the culture of Indian god-men. But PK frames his critique as an outsider looking into religion, subtly implying that religion does not have the resources to critique itself. This is why PK’s critique is important but unoriginal. It is important because deceitful religiosity that thrives at the expense of the poor is disturbing and real. Although PK primarily questions the god-man culture of India, global Christianity has its own money-minded “men of God”, who peddle the word of God for profit and trade false promises of prosperity for real dollars from the poor. It is unoriginal because the first challenge to corrupt Christianity did not come from PK, Marx, Nietzsche, the Enlightenment or anyone else. It came from Jesus and the prophets who have given us a rich body of literature with uninhibited allegations against false prophets, corrupt leaders and religious injustice—PK’s wrong numbers and bad managers. In his book The Reason for God, Timothy Keller refers to the scholar Merold Westphal who documents how Marx’s analysis of religion as an instrument of oppression was anticipated by the Hebrew prophets Isaiah, Jeremiah, Amos and even by the message of the New Testament Gospels. Marx, according to Westphal, was unoriginal in his critique of religion—the Bible beat him to it. PK places justice and reason above and against religion. He sees religion as a weapon of injustice and an opponent of reason. Thinking people are not religious. Religious people are unjust. It’s a false dichotomy that is appealing but unconvincing. This is why PK’s critique is persuasive but mild. It is persuasive because justice and reason matter to human beings. It should make us angry when people are deceived in the name of God. It should make us angry when the poor are exploited by the “people of God”. But PK pits justice and reason against God even though they are not as incompatible as he would like us to believe. It is mild because you cannot read Micah, Amos, Jeremiah, Isaiah or the Gospels and the New Testament without hearing God’s heart for justice and His anger at being misrepresented by religious leaders. Between PK and God, only one is angry enough to threaten judgment against religious injustice and gracious enough to promise forgiveness to the repentant. PK’s answer to bad religion is no religion. It is an attractive answer but it is an unnecessary one. The alternative to bad religion could be no religion, but it could also be true religion—a return to God’s original design for human flourishing from which bad religion has become a cheap imitation. One of the most moving scenes of the film is PK’s desperate prayer describing how difficult it is to find God. A beautiful lyric in a haunting song carries the weight of his longing—Tujhe dhoondein thake mere nain (My eyes faint from searching for you). PK is very clear that religion is a quest to find God. But the Bible reverses this quest to reveal how difficult it is for God to find us. Like a pained lover carrying the weight of unrequited love, His songs are more poignant, His longing is more earnest and His quest is more urgent than we have imagined. Religion tries to inspire goodness through fear of punishment or the incentive of reward. It thrives on fear, guilt and shame and resists doubt, questions and reasoning. This is the sort of religion that God resists and His words are echoed in PK. But while God is a friend to PK in his indictment of deceit in organised religion, he is no friend to PK’s bleak conclusion that we cannot know anything about the God who made us. The Christian hope is an alternative and a corrective to the spirit of such religion. To people misled by wrong numbers and bad managers, Jesus reveals Himself as the Good Shepherd who lays down His life for His sheep. He undermines religion by taking away our fear of punishment and giving us a reward we do not deserve so that our trust in Him is driven by love—not by shame, guilt or fear. PK gives Anushka Sharma greater responsibility and challenge than is given to women in Bollywood. She gets to carry the movie in a way that makes Aamir Khan feel a bit like a supporting character; and she does this without an item number, a wet saree or a wardrobe that leaves little to the imagination. She actually has a character with a heart, a mind and an opinion and that is a good thing to see. A Bollywood film is not my first choice for weekend entertainment but PK gave me something to think about. Aamir Khan’s films are typically subversive, in a good way. But as the new Bollywood is keen on being a thought leader for a new India, I think care must be taken to recognise that those who question assumptions are always making assumptions themselves; and theirs must not be left out of the questioning. A blind faith in religion must not be replaced by a blind suspicion of faith. 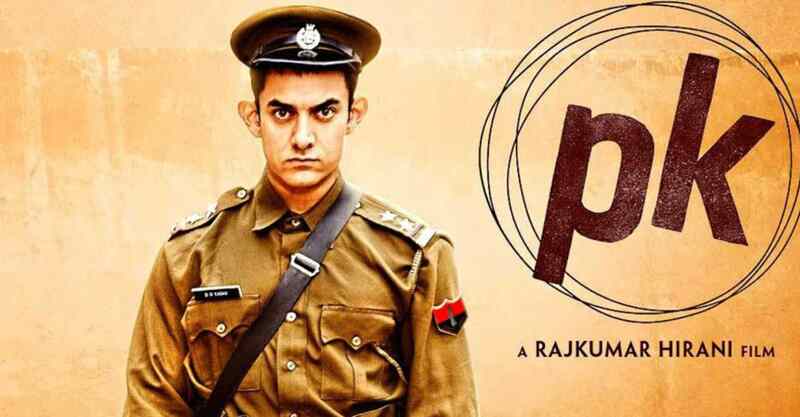 As a film, PK is a good one with an intriguing theme that keeps you interested. But what PK says about religion is nothing new. God has already spoken and His words are related but they are a little more reasonable; they are similar but they carry a little more weight. 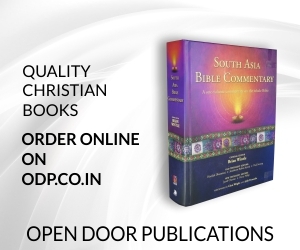 Akshay has worked as Director of Youth Ministry at Delhi Bible Fellowship and Content Writer at Tradeindia.com. Having completed his theological studies at Singapore Bible College. Akshay works as Manager, Training & Documentation at BCTI and author of The Whistler in the Wind.